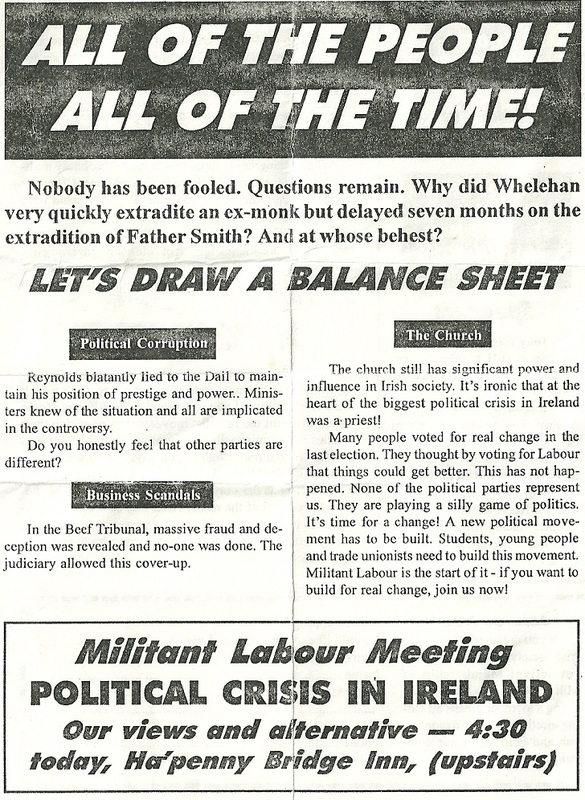 From 1995 , a leaflet for a UCD Militant Labour meeting to be addressed by then Scottish Militant Labour Councillor Tommy Sheridan. 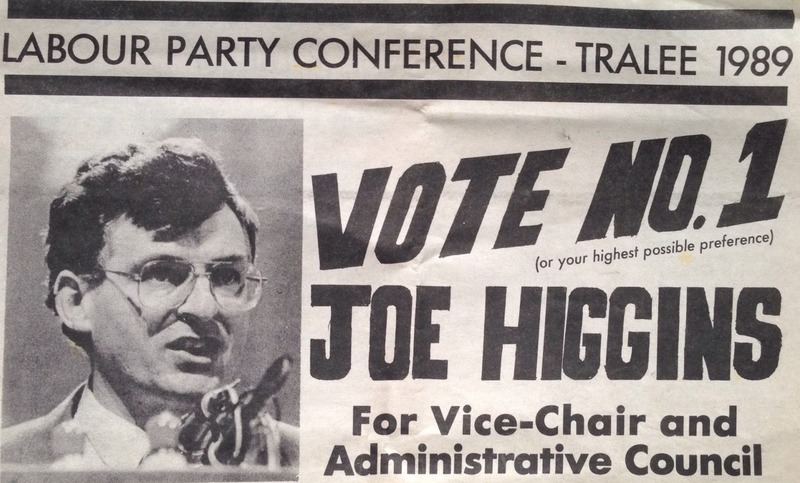 From the 1989 Labour Party Conference in Tralee, a poster “Vote No.1 Joe Higgins for Vice Chair and Administrative Council”. 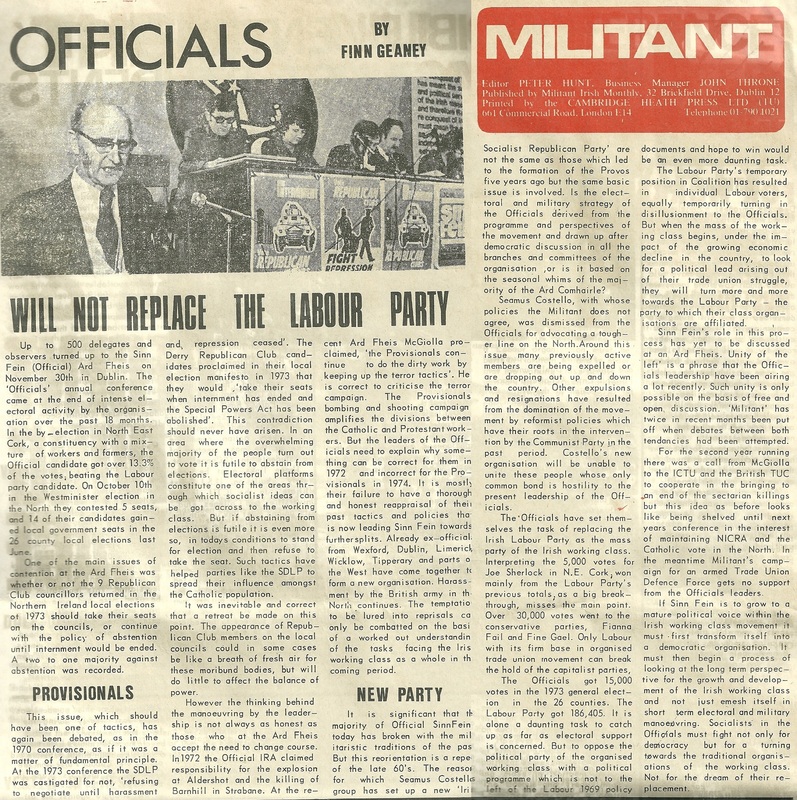 It was his last Labour Party Conference as he and other members of Militant were later expelled from the party. 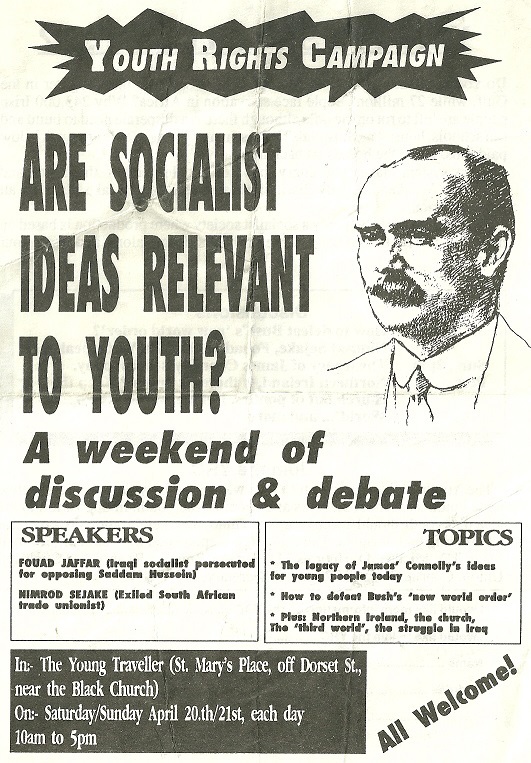 Another series of posters (other bunch here) from Militant, The Socialist Party and Young Socialists that I was sent recently. Most if not all are for Rally’s in Belfast. 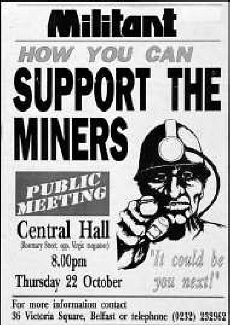 Amongst the subjects covered are The Miners Strike, Apartheid , Trotsky and the Poll Tax. Alas the quality and size are poor but they may well be of interest none the less . 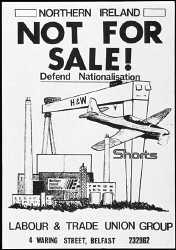 A series of posters from Militant, The Labour & Trade Union Group and Young Socialists that I was sent recently. Alas the quality and size are poor but they may well be of interest none the less . All are from Northern Ireland with familiar names such as Peter Hadden listed as speakers.